5 years ago, I’m pretty sure I straight-up laughed when someone told me that storing files in the cloud was the future of computing. The idea that I had to have an internet connection to access, say, my music files seemed ridiculous. “What happens if I lose my internet connection?” I thought to myself. The funny part is, even then I was already heavily invested in cloud computing. Chances are, so were you. It took me a while to realize it, but the cloud has been a part of my daily computing experience for quite a while. For me, it started when I snagged an invite to Gmail. Although I didn’t fully appreciate it at the time, from that day forward, I was putting a piece of my life–and an essential one at that–online, trusting a third-party to manage it and safeguard it. It was a pretty big step that I did not appreciate in the slightest. And that’s how it started. Slowly, piece by piece, more and more of my user experience crept to the cloud. It’s now gotten to the point where I can scarcely imagine how it could be any other way. Pictures and videos on one device but not on the other? Not for me, buddy – my pictures are with me everywhere, anytime, on all devices! Of course, it’s now totally unacceptable for me to start listening to a podcast on my smartphone and not be able to pickup precisely where I left off on my tablet. I just can’t live like that. And don’t for one second tell me that I have to be bothered to reenter a password in Chrome – my passwords are auto-synced and auto-filled, thank you very much. 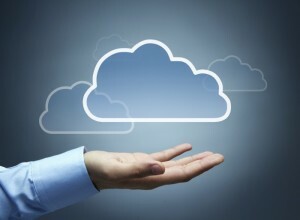 The power and convenience of the cloud is impossible to ignore. What was once a disparate, disjointed experience among several devices, is now a unified, seamless experience. In a way, we’ve turned the tables on our technology. Our devices center around us, not the other way around. But even that, it seems, is just the beginning. The true power of the cloud seems to involve more than simply making things available centrally for users to hook into. Instead of just consumer-facing services using the cloud, computing platforms are now branching out to the cloud in order to extend and enhance their functionality. Take Google Play Services; this tool allows Google to push out important system updates to Android clients. Any device running Android 2.3 or greater supports this service, and it’s Google’s direct pipeline to your installation of Android to enhance its functionality, security, and general level of awesomeness. Thanks to Google Play Services, features that may have once been reserved for the latest version of Android can now be enjoyed by users on a wide variety of Android versions. This feels like Cloud 2.0 to me. Or maybe even 2.75. Either way, it’s really cool. I know I’ve come a long way when it comes to accepting the cloud and how it can improve my user experience. I also know that we’re just scratching the surface of all this. The future is always an exciting place.